I’ve been asking people I meet–friends and new acquaintances–about the things they do daily. I’m curious about the idea of actions and rituals that become “everyday sustainable” in the ability to be sustained (i.e., daily activities or habits) and also as they relate to the concept of sustainability, related to the impact on environment and health. My friend F’s “everyday sustainable” is a great answer to the common lament, “But I don’t have time!” Before heading out to her demanding job where she works long hours, F does her daily meditation practice. How long does it take?, you ask. 3 minutes! 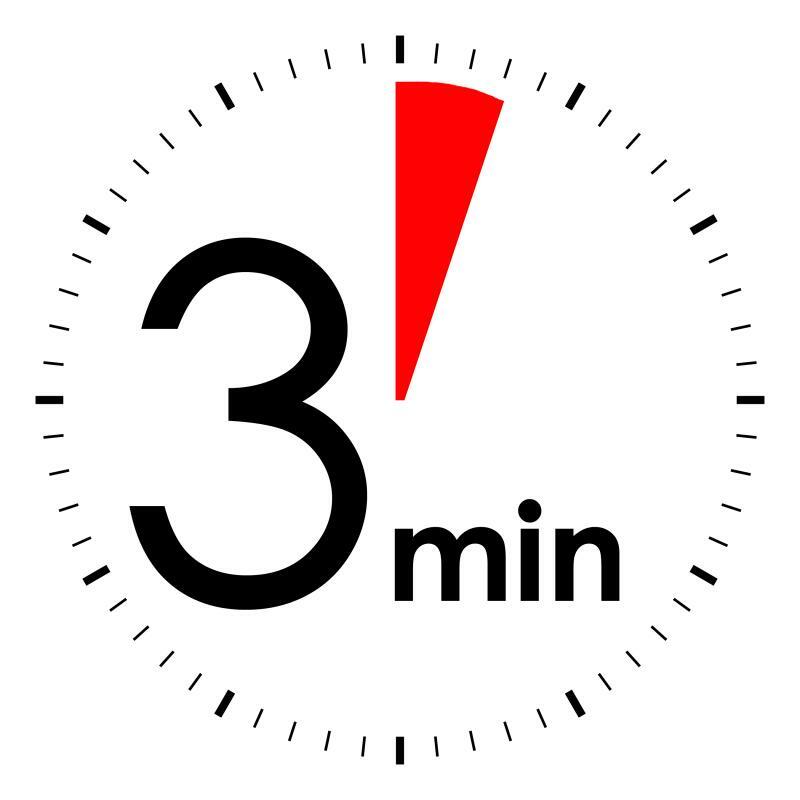 That’s right, 3 minutes. F notices that she’s able to be more focused at work. And this is with just 3 minutes a day, an amount of time that she can manage. The impetus to get started was joining a pranayama breathing class in her apartment complex. Even though her husband had encouraged her to meditate for many years (he has a regular practice), it was her own experience with the benefits of paying attention to the breath that actually got her started. From F’s story we know that 3 minutes a day can make a difference. Leo Babauta suggests starting with just 2 minutes a day. We hear so much about starting small with new habits, but I find myself resisting the idea that tiny is good enough. It’s time I take this advice and re-boot my 15-minute a day meditation “practice” (which is currently at 0 minutes a day) by accepting that 3 minutes is as perfect an amount of time as 15 minutes or 2 hours. And tomorrow will be another day, to continue the practice. Excuse me, I have to find my seat. when to start a new habit? I’ve been thinking about the common questions about habits–how to start one? what makes some easier to stick to? how do I get past the 2 week novelty drop off? These questions seem to be in the air, popular these days in healthcare, with the quantified self tracking movement, and enabled often by technology for tracking and sharing data. One question that doesn’t seem as popular is: when should I start a new habit? Of course the big start date that comes to mind is New Year’s Day with its frenzy of resolutions, many of which are intentions to start new habits or kick old ones. But are those resolutions really authentic intentions? Or are they an excuse to binge during the holidays, a “last fling” before the new beginning that a new year promises? However, my birthday is at the beginning of February, so I had the chance to consider my personal New Year as a chance at a new beginning. And I took it! I decided that my birthday would be Day 1 of daily running. And, contrary to my training for half and full marathons and all the stuff I have heard and read about how I have to exercise for 35 or 45 minutes, I decided that I only had to get out of the house and run a little. After all, even one mile is enough to get my heart pumping, my muscles working, and enjoy a bit of the outdoors and fresh air. Certainly better than not running at all. In the 4 weeks since my birthday I have for run 19 out of 28 days! That’s 2/3 of the days, or 4.75 days/week. OK, it hasn’t been every day, but it is more often than I have ever run. And, it is already more of a habit than any other non-life-baseline habit I’ve had (e.g., flossing, bathing, eating, commuting to work, etc.) since my regular violin practice as a kid. And this one didn’t require having my mom nag me. My tracking data (check marks on a paper calendar) tells me that I got off to a great start with 12 consecutive days of running (that 2-week honeymoon period), after which I’ve tapered to about an every-other-day rhythm. Actually, daily running is not advisable for me since I’m working on strengthening a weak foot, but it felt great to be out there regularly, and now I’m hooked on the feeling. So in order to make this everyday sustainable, I think I’ll ride my bike on the off days. Tomorrow’s a perfect day to start my new habit of daily running getting out and moving my body. Conveniently, tomorrow is also the month anniversary of MY new year, so I can leverage that to get me going, and to anchor the beginning. When will you start your new habit? Today‘s a perfect day to start. Or, if the day’s almost over, tomorrow‘s another perfect day to start. Or if you need a little more oomph on the start like I did, pick a day that has some significance for you. I’m restarting this blog to broaden the idea of Everyday Sustainable from its original incarnation that focused on sustainability, energy efficiency and the environment. How do we live everyday in a way that is healthy not only for the environment, but also for us as individuals, in relationship, and in our communities? What tools and habits help us? And I find myself filtering the everyday through this lens, as I explore broad interests in personal health, caregiving and aging, quantified self (QS), energy efficiency and sustainability, and delightful user experience and design.